John (Jack) Bell was born in Dumbarton on 6th October, 1869. He played local football until signing for Dumbarton. At a time when Scotland was dominated by the activities of Glasgow's Celtic and Rangers, Bell was a member of Dumbarton's Scottish League Championship winning side of 1891-92. Bell's talent as a tricky outside right, did not go unnoticed in England and in 1892 he was signed by Everton. He brought success to this side and over the next few seasons they finished high in the First Division table: 3rd (1892-93), 6th (1893-94), 2nd (1894-95), 3rd (1895-96). Bell also helped Everton to reach the final of the FA Cup in 1893 and 1897. 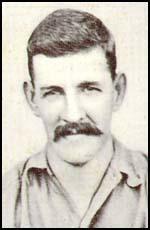 Bell won his first international cap in 1890. Over the next ten years he won another nine caps. He scored five goals, including one in Scotland's 2-1 victory over England in 1892. Derby County proposed that the Football League should impose a maximum wage of £4 a week. At the time, most players were only part-time professionals and still had other jobs. These players did not receive as much as £4 a week and therefore the matter did not greatly concern them. However, a minority of players, such as John Bell, were so good they were able to obtain as much as £10 a week. This proposal posed a serious threat to their income. Some of these top players joined together to form a trade union. This included John Bell, Bob Holmes and Jimmy Ross of Preston North End, John Devey of Aston Villa, John Somerville of Bolton Wanderers, Hugh McNeill of Sunderland, Harry Wood of Wolverhampton Wanders and John Cameron of Everton. Other players who took a leading role in the union included Tom Bradshaw (Liverpool), James McNaught (Newton Heath), Billy Meredith (Manchester City), Abe Hartley (Liverpool), Johnny Holt (Everton) and David Storrier (Everton). In February 1898, these players announced the formation of Association Footballers' Union (AFU). John Bell became chairman of the union. The secretary of the AFU, John Cameron, announced that the union had 250 members. Cameron pointed out that their main objective was that they "wanted any negotiations regarding transfers to be between the interested club and the player concerned - not between club and club with the player excluded". The AFU was badly wounded by the decision of several members of the committee to seek higher wages in the Southern League. This included the AFU secretary John Cameron, who joined Tottenham Hotspur for the 1898-99 season. Tom Bradshaw also joined Spurs, whereas other leading figures in the union who left the Football League included Harry Wood and Abe Hartley (Southampton), Johnny Holt (Reading) and David Storrier who joined Celtic. Bob Holmes, who became the chairman of the AFU, gave an interview to the Lancashire Daily Post where he admitted the union was in serious trouble: "I am not quite sure that we shall succeed in attaining all the objects with which we set out; it is not a certainty that we shall carry any... The break-up of the Everton team as we knew it last season may have a good deal in influencing the future of the Union. With John Cameron, Jack Bell, Robertson, Holt, Stewart, Storrier, Meecham of Everton as well as Hartley and Bradshaw of Liverpool gone, our centre has lost strength. Liverpool was our headquarters, you know, and our registered offices were there. But the secretary, John Cameron, has gone to London and Bell the chairman will not, as far as I know, play for anybody." Bob Holmes was wrong to say that Bell intended to retire from the game. Instead, he returned to Scotland and played for Celtic before persuading his former club to offer him a better contract. In the 1901-02 season he helped Everton finish second to Sunderland in the Football League. In 1903 John Bell joined Preston North End. He was now 34 years old and was past his best. However, in his first season he scored 10 goals in 32 games to help Preston win promotion to the First Division of the Football League. 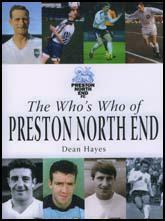 That year Preston won the Second Division title by winning 20, and drawing 10, of its 34 games. Bell was plagued by injuries in the 1904-05 season but the following season he helped Preston to finish second to Liverpool in the 1905-1906 season. Bell formed a great partnership with Richard Bond who scored 17 goals that season. John Bell retired from the game in 1907. He coached Preston North End for several years before emigrating to Canada.